Pink eye (or conjunctivitis) affects around 6 million people in the US every year (1). While the symptoms and severity of this infection may vary from person to person, it hardly causes any significant complications. However, if it is observed in newborn infants, it should be treated immediately to prevent vision loss. Did your eye turn red and itchy overnight? Is this accompanied by a stubborn yellowish or greenish discharge that makes it almost impossible for you to open your eyes after a good night’s sleep? Then, you could have contracted the much-dreaded pink eye. The good news is – this condition can clear up rather quickly with proper treatment and preventive care. A few natural remedies can also help in treating conjunctivitis. Read on to know more about pink eye and its treatment options. Pink eye is a condition that causes the conjunctiva to become inflamed. Conjunctiva is a thin transparent layer that covers the white part of your eyes along with the insides of your eyelids. This condition is also referred to as conjunctivitis. Children are very likely to contract this disease as it is highly contagious and spreads rapidly. The most commonly affected age group is 3-13 years. However, this condition is rarely of much concern and mostly does not damage one’s vision. Pink eye can be classified into five types depending on its cause. Viral Conjunctivitis – It is caused by a viral infection and is the most contagious type. It starts in one eye, but within a few days, the other eye may also get infected. Bacterial Conjunctivitis – It is caused by a bacterial infection and usually affects one eye. However, there are high chances that the other eye may get infected as well. Allergic Conjunctivitis – It is triggered by an allergy and can cause tearing, itchiness, and redness in both eyes. Ophthalmia Neonatorum – It is a severe form of pink eye that affects newborns. It is transmitted from mothers who are infected by Neisseria gonorrhoeae or Chlamydia trachomatis to the children during childbirth. Giant Papillary – Long-term use of contact lenses (or an artificial eye) triggers this type of pink eye. The signs and symptoms exhibited by those affected by pink eye usually depend on the cause. Listed below are some of the most common symptoms. As we have already discussed, pink eyes can be triggered by an array of factors and infections. The following are some of the most common factors that are linked to the onset of conjunctivitis or pink eye. In some cases, conjunctivitis can also be caused by a sexually transmitted disease like gonorrhea. This type of pink eye can lead to vision loss if not treated promptly. If you notice that your eyes (or eye) are unusually inflamed and exhibit any of the symptoms associated with pink eyes, consult a doctor immediately for proper diagnosis and treatment. In some cases, your inflamed eyes could also be a result of seasonal allergies, a sty, or other health issues. Hence, your doctor may first ask about your symptoms and then carry out an eye exam. They may also test the fluid secretion from your eyes (if any) to identify the cause of your symptoms. Once your condition is diagnosed, treatment is prescribed accordingly. Usually, conjunctivitis symptoms ease on their own without treatment. However, a few natural remedies can work wonders in speeding up the treatment of conjunctivitis and alleviating its symptoms. Scroll down to find out! Put a few drops of breast milk into the affected eye of your infant. Leave it in and allow your baby to blink it away. You may do this 1 to 2 times daily. 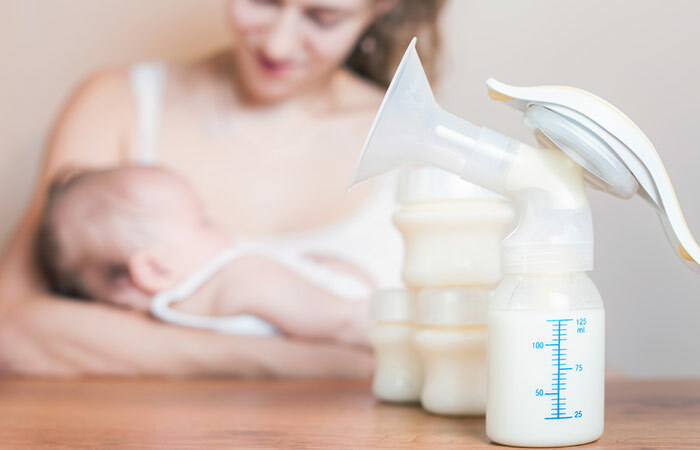 Breast milk is believed to possess antibiotic properties and been used topically for ages to treat various health conditions of newborns, such as conjunctivitis and epiphora (2). Apply a warm or cold compress to the infected eye. Place it there for 5-10 minutes. You may do this 2-3 times daily. The topical application of both warm and cold compresses reduces the inflammation and cleanses the infected eye (1). Apply aloe vera gel all around your upper and lower eyelids. 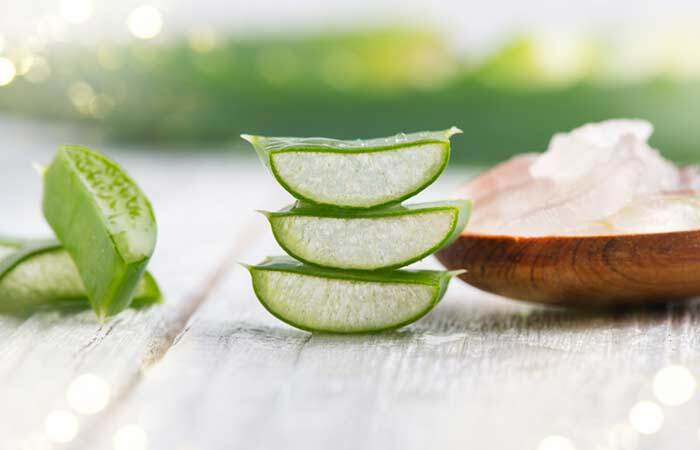 Aloe vera possesses soothing anti-inflammatory properties due to the presence of ethanol and ethyl acetate extracts (3). It can thus assist in treating ophthalmologic conditions like conjunctivitis. 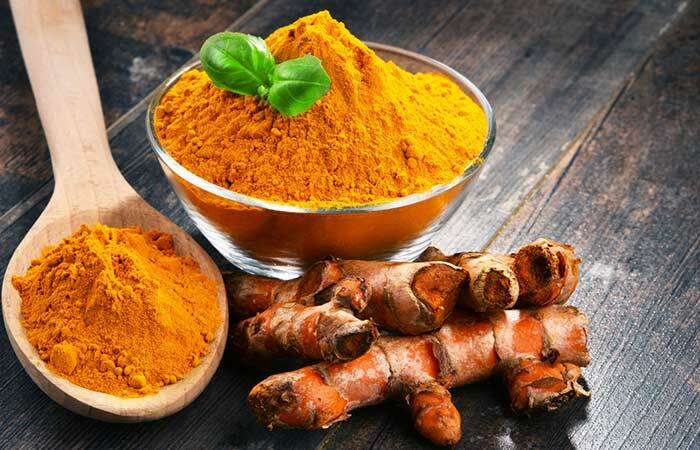 Add a teaspoon of turmeric powder to a glass of warm water and mix well. Soak a clean washcloth in the mixture. 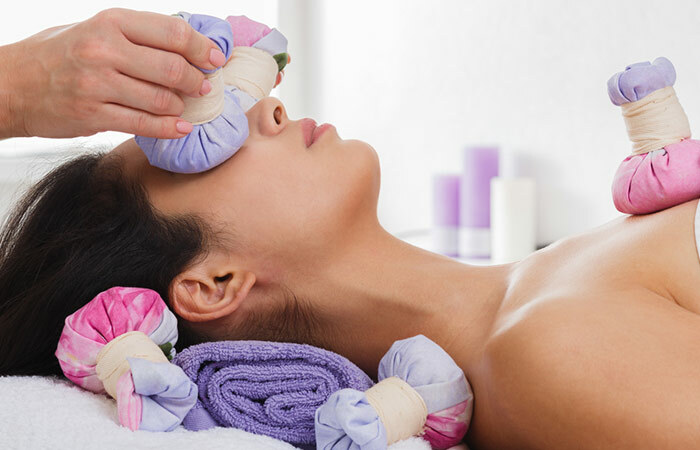 Wring out the excess water and place the warm compress on the affected eye. Leave it on for 10-15 minutes and remove. You can do this 1-2 times daily for optimum benefits. Turmeric contains curcumin, which helps to suppress the symptoms of allergic conjunctivitis with its anti-allergic activity (4). Take a couple of used green tea bags and refrigerate them. Apply the cold green tea bags over your closed eyes. Remove them after 15-20 minutes. Green tea contains flavonoids that help reduce inflammation and swelling (5). 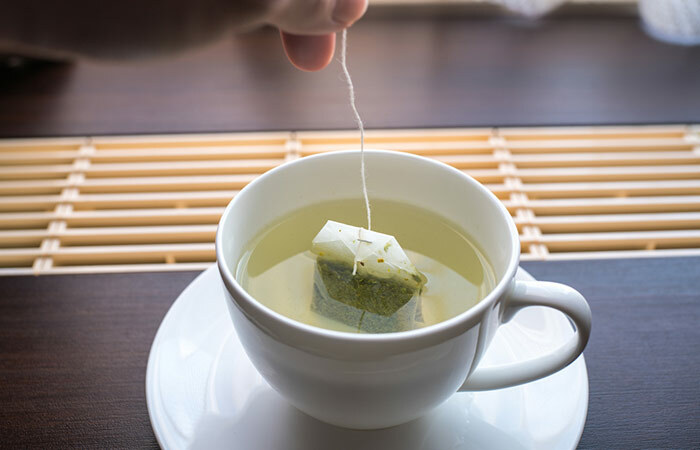 The antibacterial and anti-inflammatory nature of green tea may be beneficial in alleviating the symptoms of ophthalmologic conditions like pink eyes (6). Take a teaspoon of organic honey and mix it with a tablespoon of distilled water. Put a drop of this mixture into the affected eye(s). You can do this twice daily for best results. Honey exhibits antibacterial and anti-inflammatory activities that can help in healing conjunctivitis and its symptoms (7). Note: It is very important that you complete your course of medical treatment for conjunctivitis and use these remedies to assist the ongoing treatments. It is also important that you take precautions to prevent the infection from spreading any further. 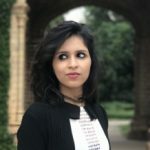 The following are some tips that will definitely help. Wash your hands with soap and lukewarm water multiple times daily, especially before you have your meals. Keep your eyes clean by washing them with water many times daily. Wash or change your pillowcase daily until you have recovered completely. Avoid touching your eyes directly with your fingers. Do not wear eye makeup. Do not share your eye makeup, clothes, or towels with others. Throw away the eye makeup if you used it when you were infected. Avoid use of allergens that you know may trigger an infection. Do not send your child to school until the symptoms have disappeared completely. Early treatment is key to battling conjunctivitis at the earliest and avoid complications. This is especially in the case of children suffering from this infectious condition. Did you find this post helpful? Do you know any more remedies or tips that can help treat conjunctivitis? Share them with us in the comments section below. What are the treatments for pink eyes? The medical treatments for pink eye depend on its cause and symptoms. Treatment usually aims at improving the symptoms. You may be asked to use artificial tears and wash your eyes multiple times daily. You may even be prescribed antibiotic eye drops if you are suffering from bacterial conjunctivitis. Viral conjunctivitis caused by herpes simplex virus may be prescribed antiviral medications. Anti-inflammatory drops, decongestants, and antihistamines can be used by those suffering from allergic conjunctivitis. Pink eyes may last anywhere from a few days to two weeks before the symptoms subside. What are the eye drops for pink eyes? Artificial tears are one of the most sought-after over-the-counter medications for conjunctivitis. 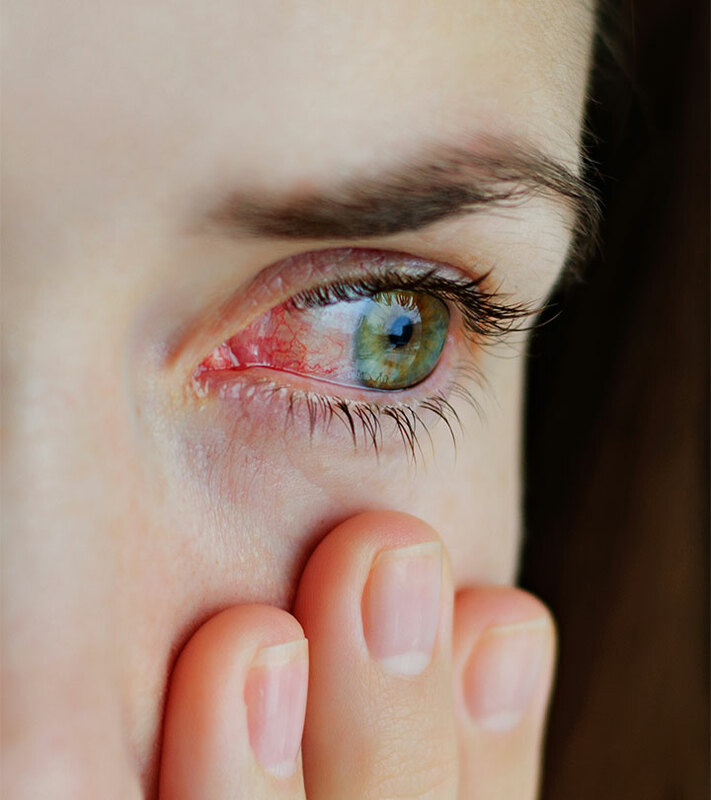 If your condition is caused by a viral infection, you may need antiviral drops, and if the pink eye is a result of a bacterial infection, you may require antibiotic eye drops. Antihistamines and anti-inflammatory eye drops are prescribed to those suffering from allergic conjunctivitis. 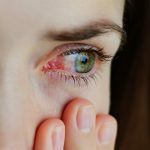 When to see a doctor for conjunctivitis? You must consult a doctor immediately if you notice that your newborn is suffering from pink eyes as it may cause vision loss. If you are suffering from the condition, and the symptoms don’t improve even after two weeks, it is best to consult a doctor to receive further treatment. How to avoid spreading pink eye? You can avoid spreading pink eye by following the prevention tips mentioned in the article. Will pink eye go away on its own? In most cases, pink eyes usually go away on their own even without treatment, and all you have to do is take the necessary steps to prevent the infection from spreading. However, if a child or a newborn contracts it, you need to consult a doctor immediately. When is it safe to return to work or school while suffering from pink eyes? Once the symptoms of conjunctivitis have subsided completely, it is usually safe to return to work or school. However, even then, you must take the necessary hygiene precautions for a few more days. What should I do if my newborn has pink eye? If you notice that your newborn is suffering from pink eyes, see a doctor right away. This is because the infection can prove to be quite tragic in newborns and may even lead to vision loss if not treated immediately. “Conjunctivitis” JAMA, US National Library of Medicine. “Switch from Antibiotic Eye Drops to Instillation of Mother’s Milk Drops as a Treatment of Infant Epiphora” Journal of Tropical Pediatrics, Oxford Academics. “Aloe vera extract activity on human corneal cells.” Pharmaceutical Biology, US National Library of Medicine. “Curcumin suppresses ovalbumin-induced allergic conjunctivitis” Molecular Vision, US National Library of Medicine. “Anti-inflammatory Action of Green Tea.” Anti-Inflammatory & Anti-Allergy Agents in Medicinal Chemistry, US National Library of Medicine. “Efficacy of Green Tea Extract for Treatment of Dry Eye and Meibomian Gland Dysfunction; A Double-blind Randomized Controlled Clinical Trial Study” Journal of Clinical and Diagnostic Research, US National Library of Medicine. 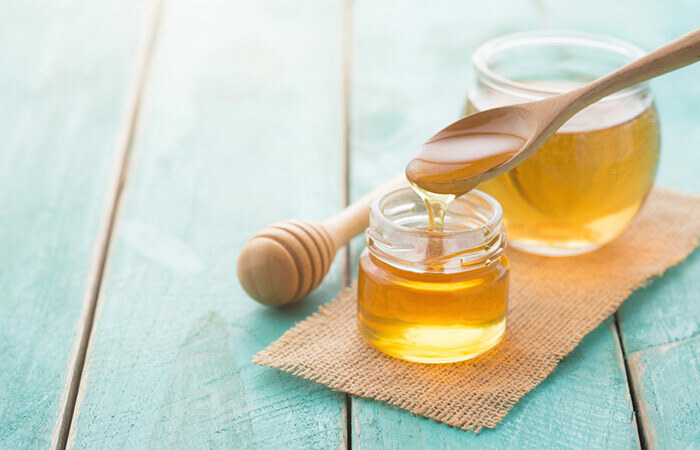 “Traditional and Modern Uses of Natural Honey in Human Diseases: A Review” Iranian Journal of Basic Medical Sciences, US National Library of Medicine.